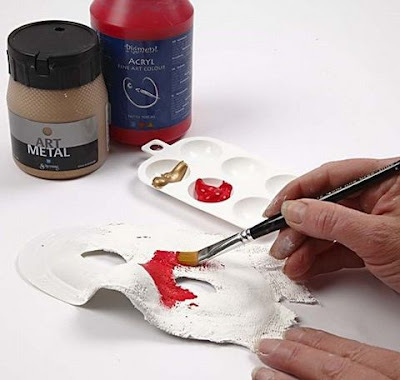 These plastic masks are decorated with gauze bandage and painted with pigment acrylic paint and art metal gold paint. 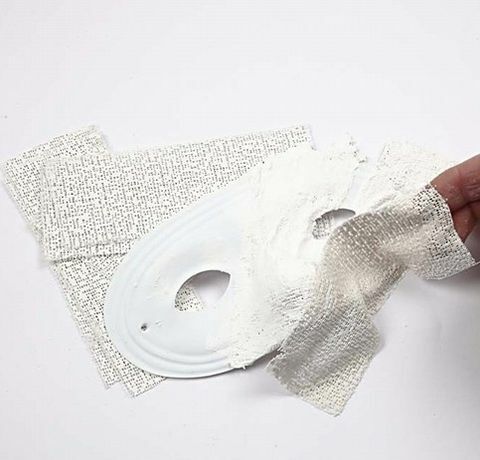 You may attach lametta by attaching it to the back of the mask using cloth tape. 1. 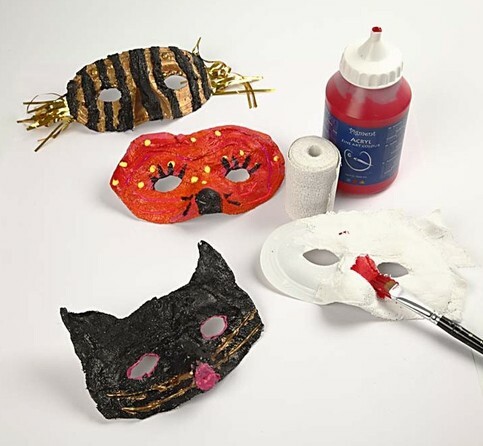 Cut the gauze bandage into suitable pieces, moisten with water and place onto the plastic mask. Let it dry. 2. Paint the mask using pigment acrylic paint and complement the colour with art metal gold paint if you wish. Let it dry. You may attach lametta onto the back of the mask with cloth tape as extra decoration.